It’s always difficult to gauge the authenticity of people’s responses to any kind of communication. In everyday life, we get along by often saying more than we mean, in the interests of good relations, and the context of any communication has a strong bearing on its meaning. When researching the media and literacy activities of a group of adolescents I used to teach, I searched the literature of audience and reception studies, literary response, object relations psychology and other approaches to finding what my research subjects ‘really’ thought and felt. In a sense, this is an unattainable goal simply because of the multiplicity of subject-positions we can hold at any one time, not to mention the ever-present variables of context, interpersonal relations and so on. 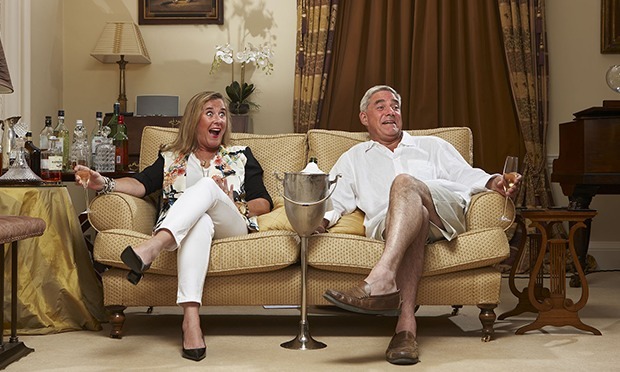 Gogglebox is a Channel 4 television programme that appears to have found a way of educing viewers’ spontaneous responses to their viewing – by observing them at home as they talk to each other about what they’re watching. Amusingly, the programme is sponsored by a sofa company. The presentation of viewing groups (usually two partners, straight or gay, or three or more family members; some groups are friends) indicates some of the ways in which the naturalness is staged and arranged. The participants are told which programmes to view, and, unlike those watching them across the country, rarely use a second screen (tablet or phone) to access social media as they watch. According to Stephanie Parker, one of the “posh pair” from Kent (pictured): “We do think out loud more than we would normally because it makes you have quite an interesting debate.” The participants may record several of their contributions to the programme on one occasion, and stories circulate about their responses being primed, although executive producer Tania Alexander insists that the reactions are absolutely real. Clearly the programme is edited down from dozens of hours of weekly video, and there must be longueurs where little is said, but, given the contrived situation, what is said feels as authentic as one can expect. Certainly it is often funny and perceptive. In a programme broadcast shortly before the election, some of the participants were watching a Labour Party election broadcast headed by Martin Freeman, star of the Hobbit movies. Several objected to the choice of presenter, asking their companions why Ed Miliband wasn’t doing it. The male in the oldest heterosexual couple said he thought it was a good idea: the popular actor would attract viewers and give the Labour campaign a boost. But, when Freeman concluded his spiel by saying that he believed in Britain and the British people, one of the viewers exclaimed: ‘I won’t take political advice from a hobbit!’ It appears that the choice of presenter had mis-fired, or at least that he needed a different script. Later, some of the viewers were watching the BBC Easter drama The Ark. This seems to have suffered the fate of most such dramas: portrayed naturalistically, Biblical myth usually looks merely silly. The viewers wondered why Noah (David Threlfall) had a Mancunian accent. ‘It looks like a block of flats!’ said one at his first sight of the massive ark. The messenger from God was presaged by a shadow falling across Noah. (My thought: do angels cast shadows?) The messenger was played by Ashley Walters, a former rapper jailed for gun-crime who, according to the Daily Telegraph, found religion while in prison. His new faith did not impress the viewers. ‘God wouldn’t use a rapper as a messenger!’ exclaimed one. The programme format has been sold internationally: similar programmes are now made in China, the Ukraine, the US and Australia. According to Stephen Lambert, whose company Studio Lambert makes the series, ‘Some of the most interesting stuff has come from people watching the news.’ The participants on the programme come from a diverse social background, and anyone who wants to find out the reasons behind an unexpected election result might benefit from a trawl through the Gogglebox archives. 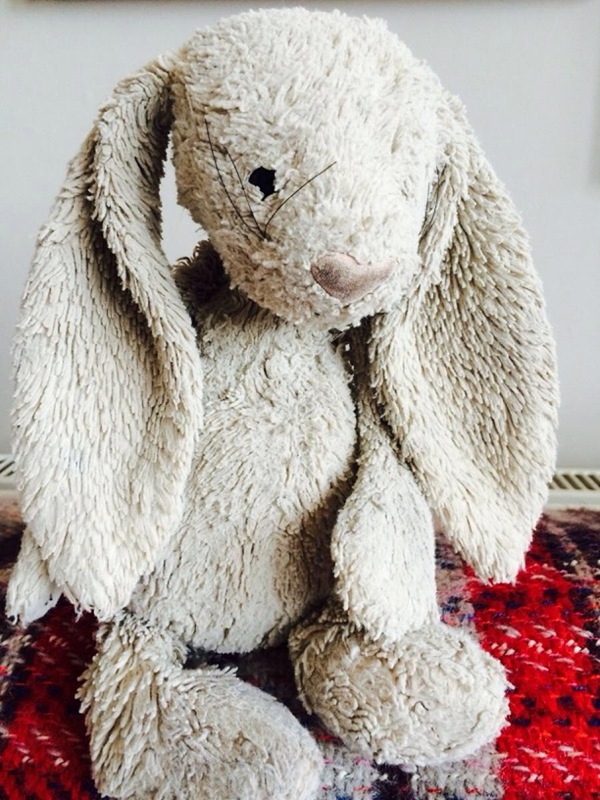 I’ve started a new blog of reflections and research on the teaching and learning of English, literacy, media, communication and related subjects. This is related to my work as editor of English in Education and in research development for NATE, the UK English teachers’ association. I’ll keep up this blog, Living in the Future Present, for creative writing and other observations. If you’re interested, do follow my new blog at https://research1english.wordpress.com/.